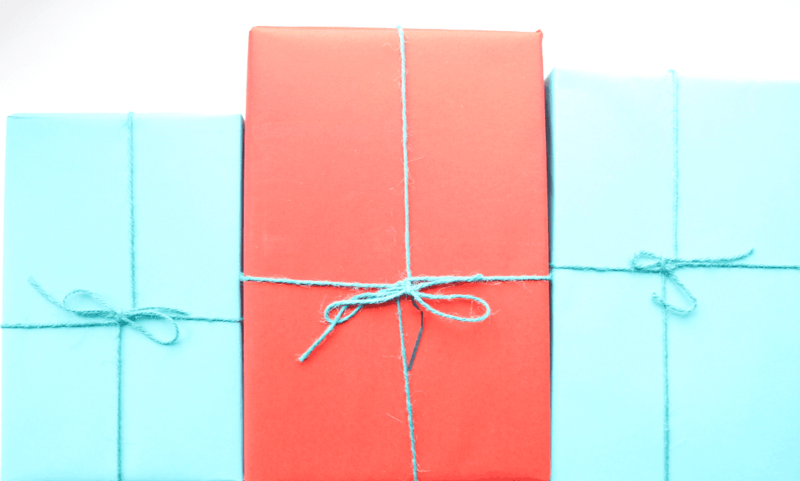 Books always make fantastic gifts at Christmas, so how about treating a loved one or best friend to a book subscription box? 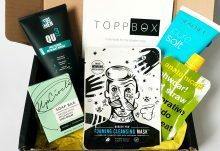 My Chronicle Book Box is a quarterly subscription service that sends you a specially curated box that’s themed on either Crime and Mystery, or Science Fiction & Fantasy. The box will contain three books in your chosen genre and these are often new releases, so it’s a great way to discover a new favourite book to get stuck into or be introduced to an author that you may have spotted on a bestselling list, but hadn’t gotten around to picking anything up yet. You’ll also find a selection of luxury treats to go along with the overall book theme, as well as exclusive author content and signed bookplate stickers. 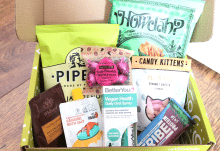 The subscription costs just £15 per month or £45 every three months, which includes free shipping within mainland UK. Shipping is also offered worldwide and is charged dependent on shipping costs to the specific location. Below is the Science Fiction & Fantasy option which was from the last quarter’s box (back in August), but it still gives you a good idea of what to expect if you decide to subscribe to My Chronicle Book Box! The box is well presented with each individual book hand-wrapped and tied with cotton string – I think this is such a nice touch and definitely gift-worthy! Blurb: Her mission is vital. Her failure is unthinkable. I haven’t come across Neal Asher before, but I’m pleased to see that this is the first novel in the series, so if you get hooked, you can look forward to the next story next year! The plot sounds interesting as I love space orientated science fiction and I can’t wait to get stuck into this over the Christmas holidays. 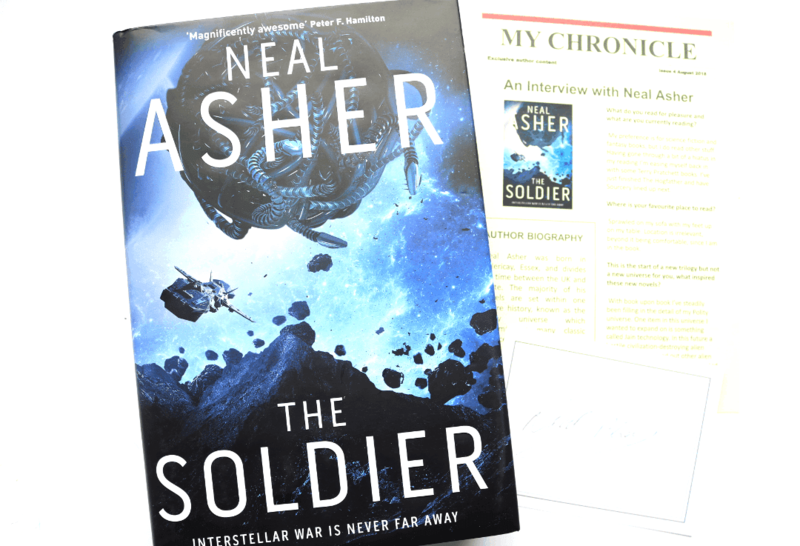 This book comes accompanied by a signed bookplate sticker from Neal Asher himself, and there’s also an exclusive interview with the author. Blurb: It has been seventy-five years since the dragons’ rule of fire and magic was ended. Out of the ashes, the Solmindre Empire was born. This book from Den Patrick is also the first in a new series which is always exciting and Witchsign is the first in the trilogy to be released. It has excellent reviews online and looks like a gripping read with lots of interesting dark magic and fantasy elements which I love. 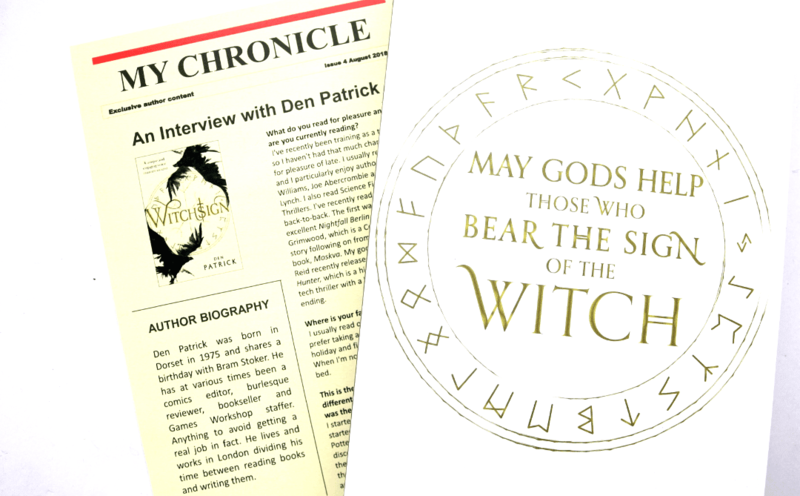 My Chronicle Book Box have also included an exclusive interview with Den Patrick with the book. Blurb: Europe. 1963. And the true Cold War is fought on the borders of this world, at the edges of the light. Racing against the Russians, the chase takes them from the demon-haunted Hungarian border to treasure-laden tunnels beneath Berlin, from an impossible house in Vienna to a bomb-blasted ruin in Bavaria where something unholy waits, born of the power of white fire and black glass . . . It’s a world of treachery, blood and magic. A world at war in the dark. Out of the three books included, this one sounds the most exciting and instantly appealing to me! 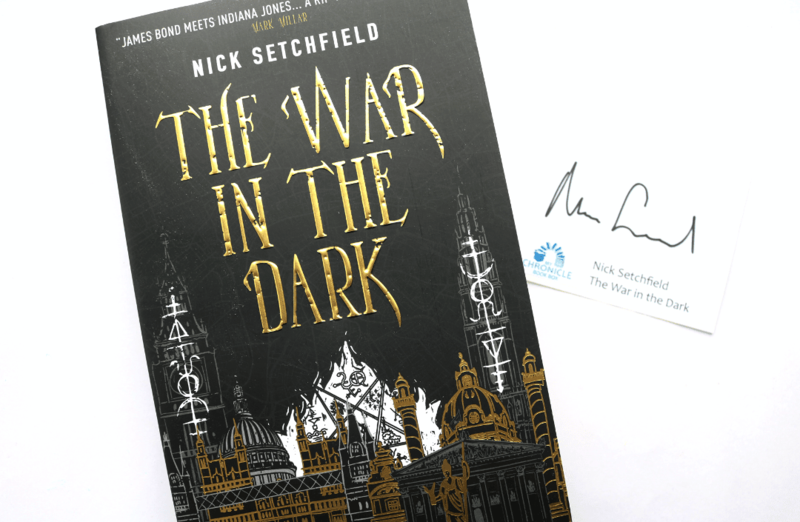 Again, I haven’t read anything from Nick Setchfield before, but I’m a big fan of fantasy novels that are set in historical times, especially ones with a more political undertone, so this book is right up my street! Also included is a signed bookplate by the author. 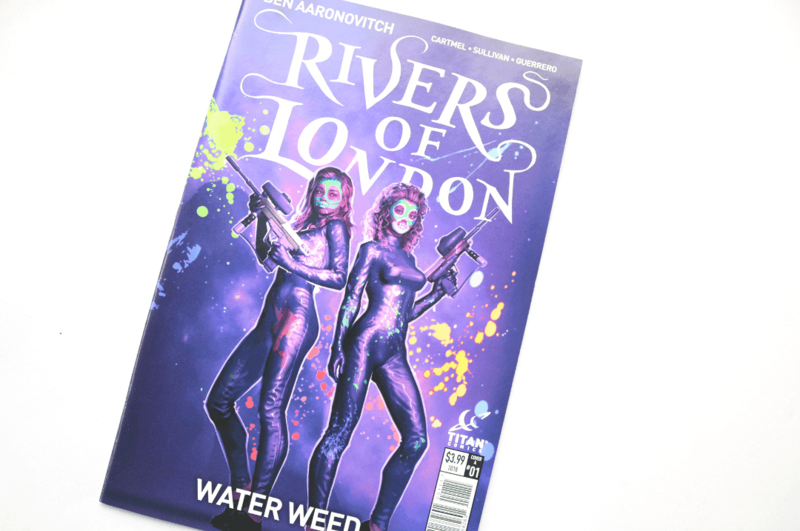 Moving onto the ‘extras’ in the box, there’s a science-fiction comic called Rivers Of London: Water Weed by Ben Aaronovitch. This is issue 1 and it’s published by Titan Comics so I have a feeling that it’s going to be good! I love this style of artwork too. 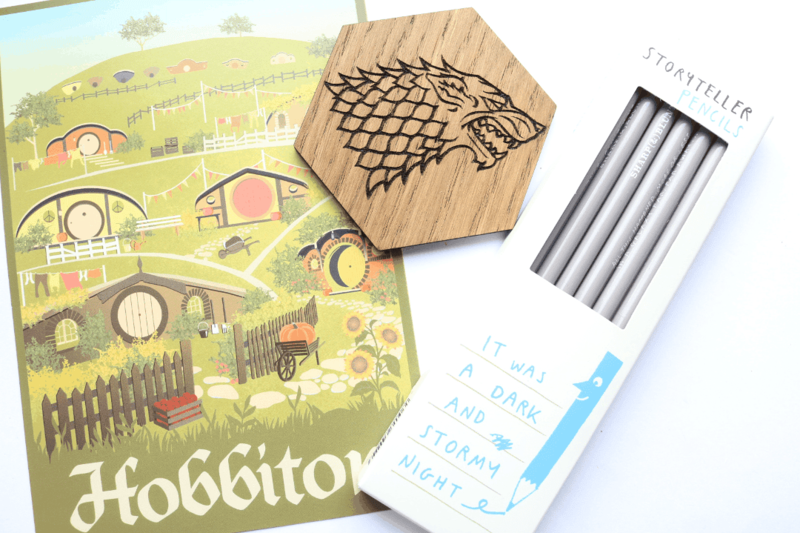 There are also three additional products; Hobbiton Print by Maria at Arts And Travel Prints on Etsy which is inspired by J.R.R Tolkien’s The Hobbit; a really cool wooden engraved Games Of Thrones coaster, and a packet of Storyteller Pencils (each one features a famous literary slogan) by Ustudio Design, an independent supplier based in Bristol. Neat! 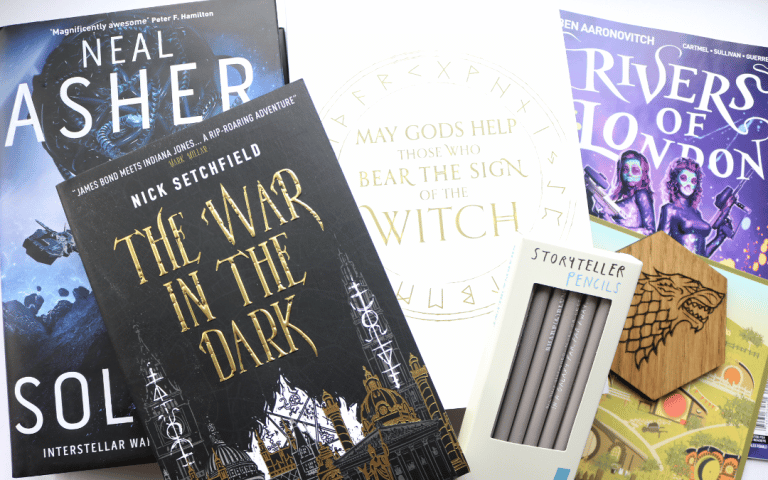 Another impressive Sci-Fi and Fantasy selection from My Chronicle Book Box that features three new novels that have been released earlier this year, and a beautiful range of book-themed extras! How would you rate My Chronicle Book Box ?